Here’s the thing – I don’t think it’s biblical to see people as “other than.” It diminishes the other and treats people sinfully. This is what happens with discrimination. Every kid in the world knows what it’s like to play favorites. Have you ever played kickball on the school field? Every kid who has ever been part of picking teams knows first-hand what discrimination looks like. 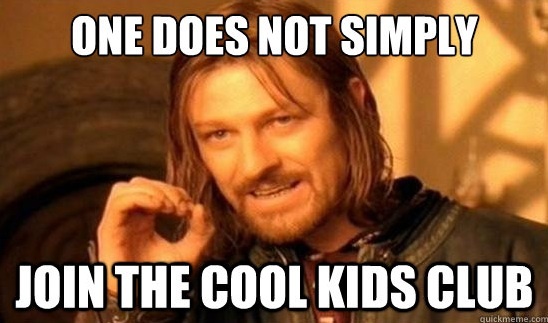 I have never ever been one of the cool kids. All my life I was always on the outside looking in but I’ve always been more of a nerd (before nerds were cool, so I guess I’m an original hipster). When you’re picking teams on the field who are the first to get picked? The cool kids. Then the athletes. Then, standing off to the sidelines, are the rest of us. In our society we have a belief that I can break one law while still obeying other laws. We may not cheat on our taxes, but we speed. We differentiate our lawbreaking and lawkeeping. But Jews understood The Law to be a unified concept. If you break any part of the law you’re breaking all of the law. How can you pretend to be righteous when you have your little side sin going on? This is what discrimination is. It breaks God’s law and makes us lawbreakers. But James tells us that we cannot treat Christians differently because of differences. I’m not so naïve as to think we will ever eliminate distinctions. I’m not advocating some futuristic classless society. The key question is this – can we treat each other equally and fairly in spite of our differences and distinctions? Jesus is the great equalizer that wipes away the distinctions between us. No, not literally. But the way we treat people who are “different” needs to be the same as we treat the best society has to offer. We cannot assign people value based on categories. This is human, but this isn’t what the Kingdom of Heaven is supposed to be like. Today is Martin Luther King Jr. day in America. Take some time to reflect on discrimination and racism. We’ve come a long way. Stop looking at people through human eyes. Start seeing people through God’s eyes. How have I faced discrimination in my own life? How have I discriminated against others? Am I willing to see beyond the labels and categories and treat people as children of God regardless of their differences? Really, really enjoyed this blog. As a kid that grew up with thick glasses, smaller than everyone else and the last name Barefoot, I felt I always had something to prove because I was often picked last. After getting older and gaining confidence I’ve always remembered that saying, “you are only as good as the weakest link.” Now, as a minister I continue to remember that saying because we often overlook those that need nurturing and loved the most to see those who are giving or doing the most. Great read for all! Thanks for sharing your story, Ron!